Do you know that your child’s teacher may never see the IEP into which you and the other team members put so much time and effort? Sometimes, school administrators decide not everyone needs to see the full IEP, including your child’s teacher! Substitute teachers, paraprofessionals, and other school staff almost never get to see the full IEP. 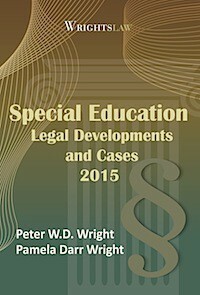 Your child’s special education teacher may reduce the IEP into a one-page summary. This is what your child’s teachers and other school staff get. … Whew! That was a lot of work and you are tired! You deserve a rest. 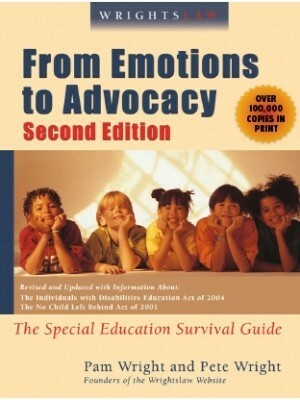 The summary may only include the modifications, adaptations, and accommodations for your child. It may include a health care plan. It may not include goals or benchmarks. 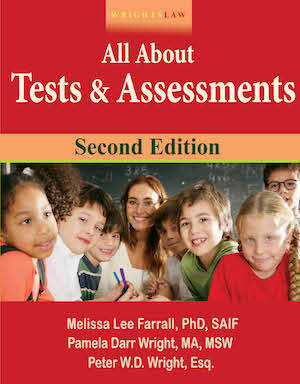 It almost never gives information about your child’s present levels of academic and functional performance. This means it is even more important for you to provide them with information about your child. If the staff at your child’s school does not understand why the IEP Team decided what it did about your child, they cannot possibly understand the value of the IEP. Your school administrators may incorrectly believe the IEP is “confidential.” If so, the administrator thinks s/he cannot release it to teachers and other staff members. This is not true. If it were true, a nurse who takes your blood pressure would not be able to give that information to your doctor, because that information is confidential, too! Schools can release confidential information about your child to anyone at school who has a genuine need for that information. Certainly teachers, substitute teachers, and many other school staff members need information about your child. It is the only way we can expect them to understand your child’s unique needs! You must make sure your child’s teacher has a full copy of the IEP. One way you can do this is to ask for a short meeting with each of your child’s teachers. When you go to the meeting, take a copy of the IEP and give it to your child’s teacher. Print your telephone number on the IEP and tell the teacher to call you anytime with questions. Tip: If a teacher does not know your child, give a picture of your child to the teacher. This way, the teacher is able to put a face to the information you are providing. If you took a Parent Report or a Parent Agenda to the IEP Meeting, give a copy of this to the teacher, too. If the teacher did not attend the meeting, he will have the same information, as did those who were there. Your child’s teachers understand your child much better. Your child’s teacher is grateful for the extra information they have. She may even tell you that that the information in your Parent Report or Parent Agenda makes more sense than the information they receive in the administrator’s one-page summary! Yes, this is a lot of work. But, nobody ever said that having kids would be easy. This entry was posted in IEPs and tagged access to the IEP, IEPs, parental role by Pat Howey. Bookmark the permalink. IN MY CHILD’S IEP, the teachers are supposed to send him to resource to finish class work he cannot complete during class time and the same for any missing assignments and yet during progress reports I find out that my child has 3 f’s due to missing assignments. I was so angry. I went to the principal and of course I then got emails from each of his teachers but I seriously do not want my kid slipping between the cracks so I am guessing this is one of those times where I should have made sure they had a copy of the whole plan. My friend has a child with an IEP and she’s tried to give a copy to the kid’s teacher, but the teacher said that she wasn’t allowed to read it. The administration requires her to give the copy back unread. The school has also refused her request for another IEP meeting to talk about that. They just keep saying that it can wait until next year since the kid’s in second grade and won’t do EOGs anyway till next year. What should she do? Hopefully your friend has made her requests in writing. If not, she should make a written request for an IEP meeting. There are great resources on this site as well as on the “parentcenterhub” Chuck mentioned covering letter writing content. Different states have different procedures and timelines for responding, so be prepared for the next step – also remind your friend that she probably received some paperwork at the last IEP meeting covering her due process rights. She may want to read through that while she’s waiting for the school to respond. Can someone answer this question for me please! Desperate! My daugther is in 11 th grade and has had an IEP since she was in 4th grade but now it really concerns me that her counselor is telling us that she will not be able to go a 4 year university being that she does not have right classes In her transcript. Please help I was never told that this was going to happen. And now her counselor is saying that her only option is community college..
My son has an IEP, He has a speech delay. He turned 3 and was in his IEP to get speech at school, or pre-school. They said they dont have room in any of there schools nearby. The closest one was 30 min. awya and they would only provide transportation to special needs kids, not regular kids with special needs classes. So no school. Can they do this. They also said he can go to pre-school in august. So instead of being in preschool NOW, he has to wait 10 months after the IEP? Yes they can. Preschool is not mandatory so depending on the funding in your state it goes by highest need. If they have already filled up then you have to wait. Seek out private speech therapy if you can. What about 504’s? 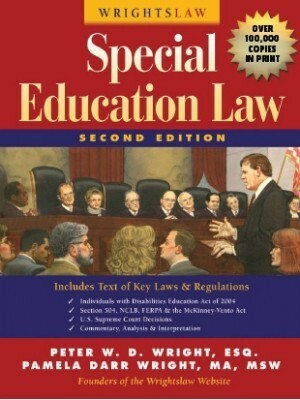 Who can legally be given a copy,,,in regards to school personnel? Anyone with a need to know. FERPA applies to any school records. Thank you very much! So it’s up to the discretion of the school personnel as to who within the school setting needs to be given a copy of an IEP or 504 under FERPA? Based on who is delivering services and accommodations or health related concerns? For instance: Coaches,,,,,who do not deliver academic accommodations during sporting practices and/or events, may not necessarily need a copy unless a child has a health issue that needs to be disclosed? Yes, but a state or district may have specific rules on sharing of information. Best practice would be for a school to have specific rules, & procedures that everyone is aware of & follows. IDEA rules, 300.323(d) Accessibility of child’s IEP to teachers & others should guide districts in setting up their procedures on this. Also schools are to have individual health plans for all students with medical issues, whether or not they are served through an IEP or 504 plan. A nurse develops these & should share them with appropriate staff. Can a Para had deliver an IEP to a students out class teacher and get the receipt signed? My son is on an IEP for all subjects yet his reading group is always led by àn assistant not the classroom teacher. It seems to me a student on an IEP would benefit from instruction from a professionally certified teacher rather than the assistant. Should he be working with the teacher for direct instruction? isnt the roll of the assistant for instructional support not direct instruction? This recently came up at a workshop I was at where someone said educators are not legally required to receive IEPs. Isn’t it breaking the law to NOT observe the IEP and therefore you’d need to receive and read it (even if condensed) to do be able to do so? This is what I have been told in my school system. If I am teaching a student and I do not provide the accommodations, we are vulnerable to being sued for violating an IEP. My school system requires us to read and sign a document saying we both received and read these documents (I’m a specialist, and I have 60+ to read through each year). Is this indeed how the law works? If so, aren’t all teachers that work directly with a student required to read the IEP, or does the law only require a special ed teacher to receive it? Thanks for the clarification. 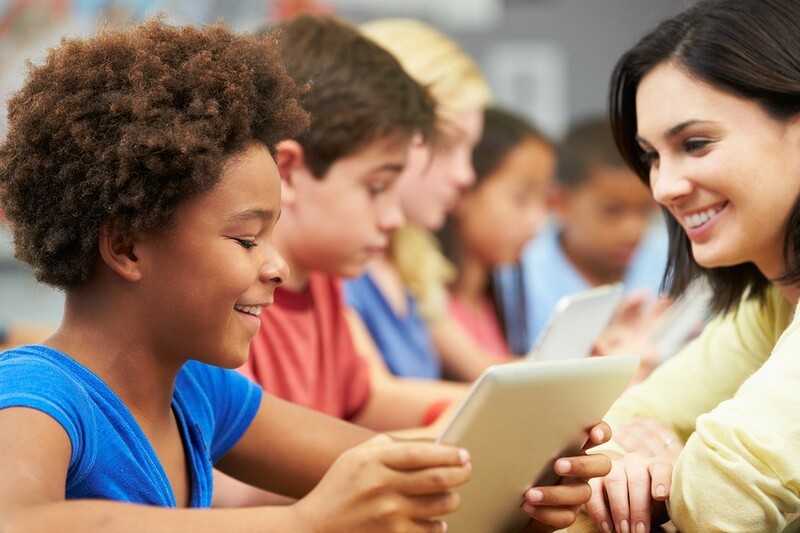 It is not that easy when the child goes to middle school where they have all different teachers per subjects and IEP goals were written to be implemented in regular education classes as well. Once I gave out side evaluations and IEP goals to my son’s English teacher to understand what our son’s needs are. Next thing I know I got a call from LEA, commended me to explain to him what my intention was to do so. I had to asked the principal to come to the meeting. Ever since I just can not make things move forward with this LEA and he blocks every each step and make me go marygoaround. Be involve special education to me seems a curse. I wish I can hire you, Mr. Peter Wright, but it will be only dream. It is more important that the teachers follow my child’s program and collaborate with the case manager. 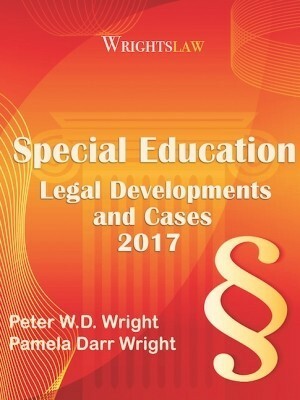 I think that they should get a copy of the IEP–if they do not–that is fine. In larger school districts, I have seen a few, not all teachers, put the IEPs aside and put out fires with the students instead of following the IEP. Are my child program’s being implemented with fidelity and progressed monitored? That is my emphasis. Does the teacher or aide utilize the AT with my child learns the AT instead of it sitting around in a corner. Hopefully, the case manager is working closely with each teacher, including art, gym, etc. as I have seen these teachers excluded from the team and knowing the child’s information. I do educate each teacher, but I do not give them the IEPs. I meet with them and educate them. I agree that is important for a child’s teachers and/or service providers to see the actual folder, but what about other random teachers in the school system? I was recently at a training at school (X Elementary) in my district and one of the EC compliance officers gave me a student’s IEP record from that school (X Elementary), despite the fact that I work at Z High School). I was told it was okay and I could just look through it to use as an example for the training. As it turned out, I know the parents of that student (though I don’t teach at that school, have no contact with that child). I feel like FERPA was probably violated and feel like I should tell the parents (who are also acquaintances). Any suggestions? I feel like this is a district-wide problem. 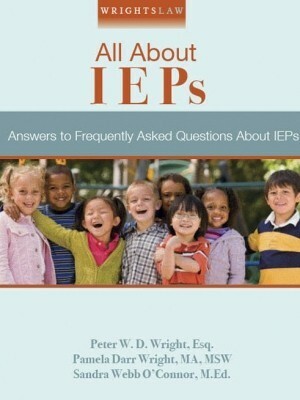 Mike B – We found out who our child’s teachers were and gave them all a copy of the latest IEP. They were all so grateful because they never automatically got a copy. Yes the school is supposed to do this but sometimes you have to pick your battles and this was one that we believed was not one we would fight over since everytime we would mention it it never got changed. One way we alleviate this unfortunate reality is by ensuring that every staff member who will be a part of our autistic son’s education is present at the IEP (or in the multiple IEPs that we seem to be involved in most times, lol). We do our homework in the beginning to ensure that the school district invites key individuals such as the teacher, para’s, etc, and if the district doesn’t invite them, we do. Also, it is important to note procedurally, that in some cases the teacher HAS to be there if they are going to be a part of the child’s direct education or the parents can file a grievance or even go to due process on a procedural violation of IDEA. To advocate means you have to be “actively proactive” with your schools staff to educate and inform them on all matters realting to his education as defined in the IEP. 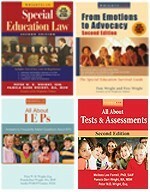 I think it is important for everyone to always be on the same page when it comes to the IEP. Jackie, When my son turned 18 he signed over a power of attorney stating that we as parents can participate in his IEP on his behalf. The law allows for that now. We put it together and got it notorized. This helped a lot when our son could not attend the entire IEP meeting because our meetings often went over 1 hour. You are right not to sign the IEP until you are satisified and the school should not make you wait one month to get together to go over it again. 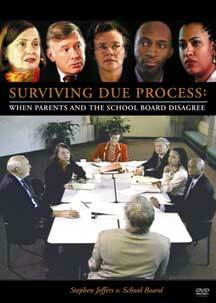 The law also allows for IEP meetings to be done over the phone or other conference device. Perhaps this will help as well. Could you please direct me where to find the formula for the Parent Report or Parent Agenda. When I have prepared one, the school will not use any of the stuff I prepare indicating that they can put my concerns in the discussion page and that’s it. Is there any legal authority that will require the school to include my Parent report or agenda? I’m also dealing with my son’s high school, as my son has turned 18, they say that everything has to come from him, even if I am his advocate. 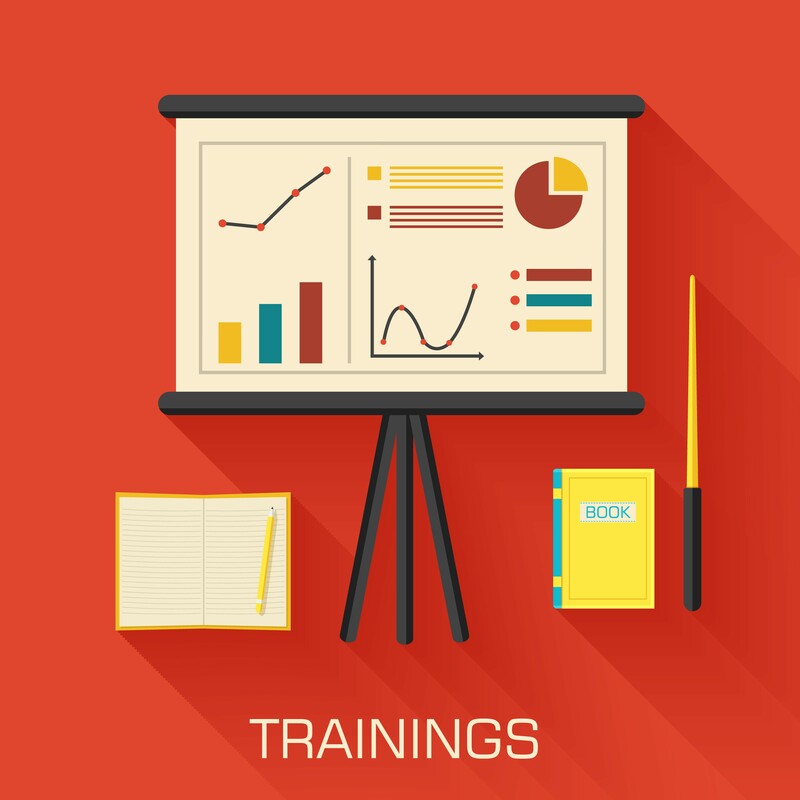 At the last IEP everything was pre-written and prepared. My son does not seat still for more than 45 minutes. I asked them not to close the IEP as we would take it home to review it. They closed the IEP. Upon review there were many things that needed correction. They want us to sign the IEP as it stand and ask for another one which will take another 30 days. Review the information in the law and regs about “Age of majority.” 20 U.S.C. 1415(m) and 300.320(c). 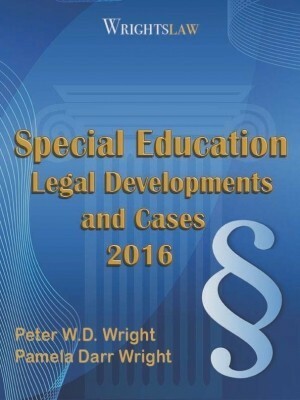 Chapter 9: Transition – All About IEPs; Age of Majority – includes what the law requires the school to do about notifying the child and the parent when rights transfer. The law requires notification a year prior to the transfer of rights so you can plan accordingly. 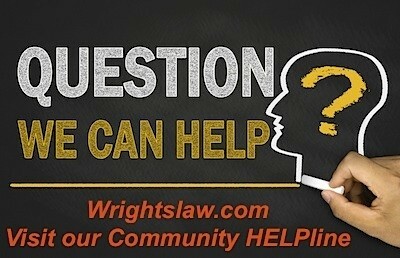 You may want to consult with an attorney, licensed in your state, about the best way to proceed. Teachers always seem to appreciate a parent doing this! I always do it on “back to school” night! Then I send a polite thank you note to the teacher saying that I am looking forward to working with her and that I hoped the copy of the IEP I gave her will help her and take one thing off her plate because I know how difficult her job is! It goes a long way in creating that collaborative relationship! My son is 10 years old and has had an IEP since age 5. When he goes into Junior High School will he be separated from the other kids and put in a special education classroom? The reason I ask is because he has many friends and we want him to continue to foster his social interactions as this is helping him progress.